It was just a regular Tuesday night until I heard the news! I was at an art show in London when I noticed the stream of what's app messages begin to pop up on my phone. King Salman orders driving licenses for women in the kingdom. I read that and I was like: "yah right!" I didn't believe it. It was only last year when I attempted to go around the corner in my dad's car just to see how it feels to drive in Saudi. It was only for 5 minutes in my dad's presence. The excitement and the fear were a strange mix. Then the messages continued from my female family members confirming that it's true!! Women are now allowed to drive in Saudi Arabia. My eyes widened and immediately started looking it up online in disbelief! It is TRUE! All the major news outlets have reported it: Saudi Arabia to allow women to obtain driving licences. Immediately thought, how good Saudi life will become without drivers and all their hassle. Having a driver takes 40% of the Saudi woman's wages! According to AlMadinah newspaper, There are 1038 Million drivers in Saudi, which is 60% of domestic works in the Saudi Kingdom. It costs the Saudi families 25 Billion Saudi Riyals annually to have drivers!! In addition to the high financial costs, it's road safety. Last year (1437 Hijri), 5334 thousand accidents happened and 45% of them were caused by a foreign driver. 70% of those drivers are not even aware of the driving rules in Saudi! In 2013, I wrote that one of the big issues women face in Saudi is not being able to drive because it restricts their mobility therefore their freedom. I am happy about Saudi Arabia's major milestone and the amazing step our King Salman took towards the future! This move goes perfectly with the 2030 Saudi vision. The Saudi vision wants to include more women in the work market and change the percentage from the current 22% to over 30%. So, giving women their right of movement will surly encourage them to be more active in society. Now, I can see the Saudi vision becoming a reality! That time I got in my dad's car for few minutes! In 2010, Saudi females became vocal about the need to be allowed to drive. Saudi women activists such as Manal AlSharif, have been advocates for women driving in Saudi for the past seven years! Other females have also been fighting towards the cause and even risking jail time. 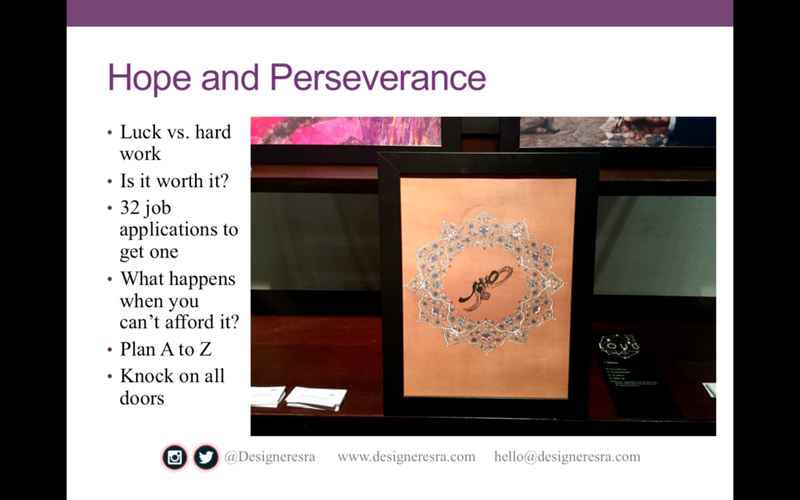 Manal wrote about her journey in her Daring to Drive book on Amazon. She also *just* released her Arabic book "Driving towards freedom" that is hot off the press in time for the very happy news! Why is women-driving in Saudi Arabia a huge accomplishment? First, let me tell you something about the reality of mobility in Saudi. Saudi Arabia does not have a public transports system and Saudi women have to rely heavily on being driven around by male relatives or foreign drivers that have been brought to Saudi for this purpose alone. There are also no pedestrian crossings, so she cannot even go walking across the street not to mention that Saudi heat doesn't help either. Saudi women have three choices: to beg a male relative to go basically anywhere, to bring a driver from abroad and pay ridiculous amount of money and/or use Careem or Uber (taxi apps), which weren't cheap either! But now hopefully things will change! Saudi women can finally take care of themselves without the mercy of a man. A Saudi woman can *FINALLY* get herself to university, work and even the grocery store. She can get her kids to school or to the hospital or other places! Saudi women can feel safe in their own cars rather than feel uneasy with all these random men that are NEEDED if the woman wants to step out of the house. Bringing a foreign worker to become your driver in Saudi costs a fortune and is such a pain because you pay a fee to bring them, then take them to do all the medical checks. You also need to give him a salary, a car and a place to live! Not to mention that some drivers don't care about the car they are given and end up recking it so badly! So, the costs always keep on increasing! After all, this driver is "imported" from his country without a criminal check or real behaviour analysis. Some can be dangerous and some women feel so unsafe, but their need to get to work or to get their kids to school outweighs that fear for their safety. Saying that, a lot of the drivers are decent people that have been with some families for years, but that's not always the case. Drivers in Saudi usually come from less fortunate countries: India, Indonesia, Philippines and other places. They have a different culture and a different language. A lot of the times there are clashes with the drivers because of their behaviour or their reaction to Saudi behaviour. Not to mention that the language barrier could cause many problems. I have to admit though that the jokes and the memes about driving makes the news even better! I have been chuckling at my phone the whole day! But putting jokes aside, what's next? This change is not going to take place over night and this change will take a while. The male dominant Saudi society will have to get used to it, families will have to make different arrangements and so on. It will take affect on 24th of June 2018, which will hopefully give everyone time to sort everything out and be ready to drive! Oh yes! Finally women can drive in Saudi! Wrote about all of this exciting news on the blog: https://www.designeresra.com/blog/saudi-women-can-drive-in-saudi *link in bio* | Although the future is still unknown and challenges will increase, I am happy this finally happened! Now I can go back home to visit without my mobility being restricted! #desineresrasaudi . . الحمد الله خبر ممتاز! وأخيراً بنسوق في السعودية! It seems like the world is very curious about Saudi women. In a dinner party last year, I got asked a million questions about the life of a Saudi woman and what she does. When I answered honestly people were shocked and thought I was making it up, but I was not. Saudi women are normal and they strive to better their situation. It's true that Saudi is mostly a male oriented society, but women have been working so hard proving themselves and establishing their place in society and I think now more than ever. I compiled a list of facts about Saudi women just to give you an idea of how life it is back home. Of course there are some different cases, but in my city in the Eastern Province in Saudi these are facts. Education is a key part of the saudi society because without it you can't go far in life. From the age of 6 girls start going to school to the 12th grade. There isn't even a question here. A girl is born and is enrolled in school as simple as that. High school diplomas are not even considered education if you don't go to university. The competition is insane to get into university. There are only a handful of public (free) universities in Saudi and because the average Saudi barely makes 30K a year a free education is the best option for everyone. Most of my friends have a masters degree. It's normal for girls to get engaged or married during their university years, but that's a rare reason for leaving education. Most couples wait till after the bachelor's to conceive a child (yes Saudis are familiar with birth control). Sometimes couples want children and after a semester off, the lady goes back to school to finish off her degree. It's not easy, but with family help it works. After university, most Saudi ladies would work. The ladies without higher degrees work in shops, which is a new thing that started only few years ago. Prior to that women only had the option to work in hospitals/university/companies and banks, but the work force have expanded. Thankfully, the women in my family are highly achieving. We have four medical doctors, university lectures and an engineer. Life is expensive and a 30k a year average is barley enough to feed a family, so women have to work and participate in supporting the family financially especially for the kids education. Government monthly salaries are a myth. You only get a salary when you work or when you are extremely poor. (Read: Myth One: Saudi the land of the riches). I hear this one a lot, for some reason some of my friends in the West think each Saudi woman has an army of maids to raise their children. That might be the case in rich families, but the average middle class lady raises her own children with the help of her mother and mother in law. There is another myth about Saudi ladies leaving their children with maids to go out. Again, that's not the case for the average lady. In fact, It's really hard getting an in house maid. It's not like it was 20 years ago. Plus most families can't even afford it. This is the saddest fact of them all and is basically could make or break the Saudi woman. If the girl has a psycho male guardian or an over protective one, her life will be very hard because the guardian has the power to allow her to study, work, get married and travel. Usually the first two happen as normal like mentioned above, but travel is the major issue. If he (dad/husband/uncle/brother) says no, then good luck. (Read: Saudi Women's Biggest Issue). When people hear refer to the family driver, they just assume I am just a rich Saudi, but having a driver is a necessity of life since women themselves aren't allowed to drive. It's also a complete pain getting drivers from abroad and the locals on Uber and Careem (taxi apps) are not cheap. (Read: Saudi Issues: Women Driving). The first part is an increasing fact especially after the King Abdullah's scholarship program in 2005. It used to be taboo for girls going abroad on their own to study, but it has become a normal option in the past ten years. Granted that the female doesn't have a really bad guardian who says no. The travelling part is still new, but Saudi women have started travelling and enjoying themselves. Although when they are slightly older (end of 20s/start of 30s). (Read: Saudi Women Travelling The World). Arranged marriages happen in Saudi, but not like what most people imagine. It's not like she knows nothing about the guy and she only sees him on the wedding night. I am sure that happens too, but it's not the norm. Normally, a family will introduce themselves to the girls family to suggest that their son would be a fit for their daughter. There is a whole process after that of getting to know the guy. Kind of like supervised dating. If they hit it off, they get engaged, where they can really get to know each other. If that goes well, they get married. That could take months or years. It depends on the family and the couple. With social media, mixed work environments and education abroad, Saudi women have been able to find men on their own and falling in love. It's becoming more acceptable. 15- Saudi Women take care of themselves and workout. In the past ten years, Saudi women have made an effort to stay fit and beautiful. Going to the gym and working out is an increasing habit. The gym choices are very limited and are only in a handful hospitals and hotels. The memberships aren't cheap either. It could be 200 GBP a month, but women are working really hard on their bodies. They are even trying to include more sports in education and getting involved in the olympics. This is just the beginning. 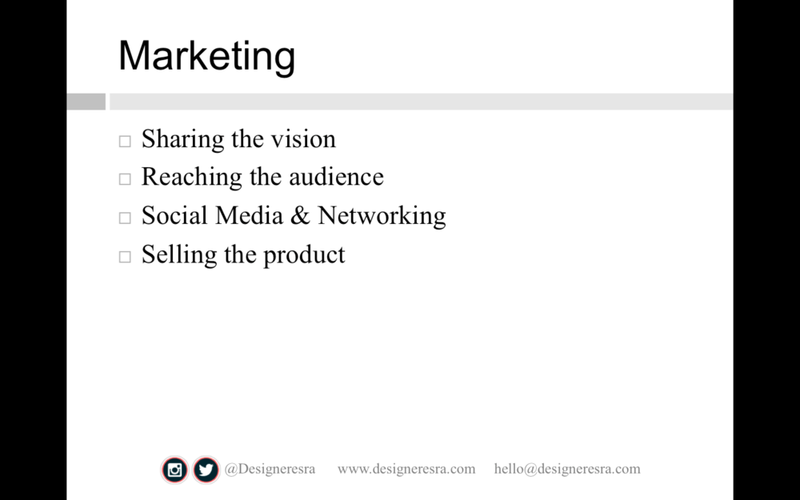 Here is the presentation I gave & the slides. Hope you find it useful! There is so much to be said on the subject, but here's a glimpse from my personal experience. Over to you: What are your favourite business start up tips? March has been a great month and this year I got to have an active roll in International Women's Day. I was chosen to be a mentor for the Philadelphia "Creativity for a Cause" campaign to empower women in the Arabia Gulf region along with three talented ladies (read more in my previous post). The campaign gives the emotional and financial support to two creative winners. One female from the public and another from Dar Al Hekma University. So, I went to the university to give a motivational talk to the students. It was really good going there and speaking to them. I remember being in their seat not so long ago and I could see the thirst for inspiration. 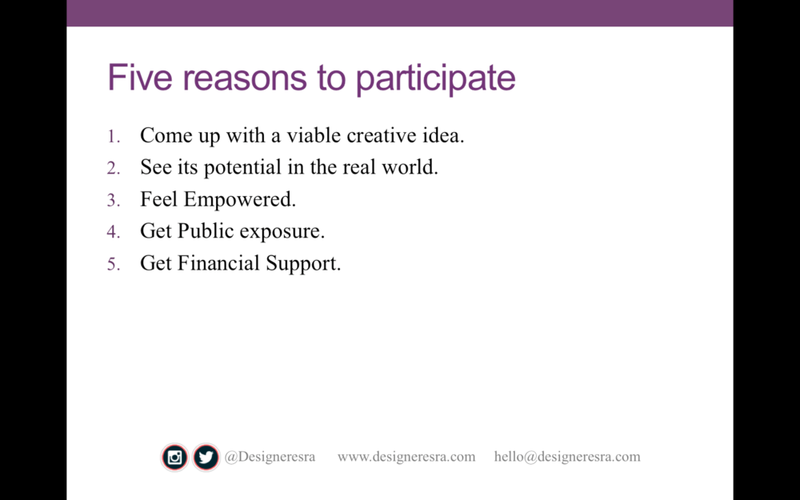 The last date to submit a creative idea that benefits the GCC societies is on the 12th of April! PS. The Islamic pattern trips I referred were with the Art of Islamic Pattern website. My artist friend I referred to is Morgan from re-source designs. Last year, I blogged about the Saudi Artistic scene and how it is changing and developing. I mainly talked about Loud Art, an annual art exhibition that supports young and new talents in Saudi and the surrounding gulf area. This year I was very fortunate to take part of this year's Loud Art exhibition. I was very thrilled that my work was chosen. This year's concept was reinterpreting contemporary. So, I mixed the patterns from the past with the passion I have for them and created something new. My aim was to make contemporary art relevant to our current state of mind and set of skills. I participated with a couple of photographs that I took myself in Morocco and Spain and integrated them with hand coloured Islamic geometric patterns. I also submitted a few detailed illuminations that I did following the traditional order, but with a contemporary twist. You can see my stand and some of my work below. 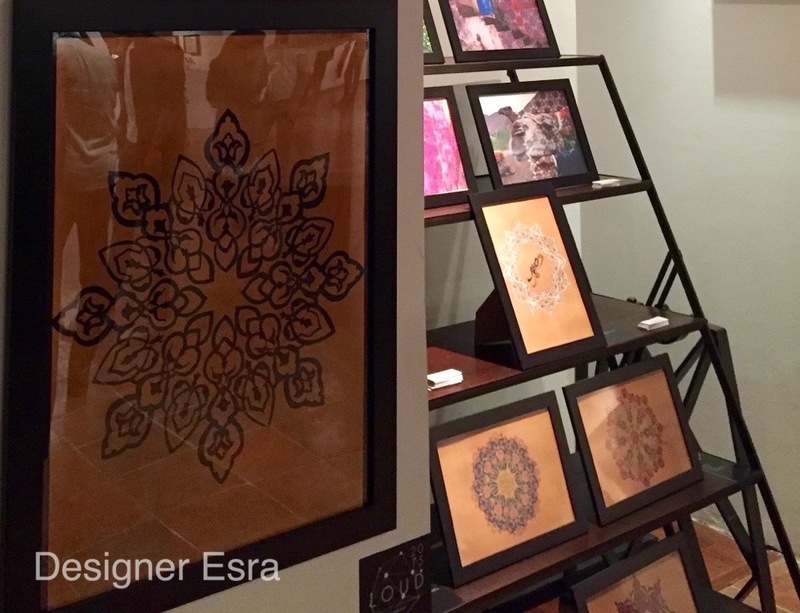 The exhibition took place in Desert Designs in Khobar. A number of very talented artists participated as well. Their work was amazing and made the exhibition a great success. I was happy to be part of it all. Here is a virtual walk through the exhibition if you couldn't make it by Marsala Studio. Ramadan is nearly over. It really went by in a flash. I have no idea why or how it went be really quickly. Every Ramadan, I try my best to come back home to Saudi to spend the month with family. Plus the days are shorter and the food is nicer. (Read more about Ramadan in Saudi here). The first meal after the fast at sunset is called Iftar and I have two types of Saudi Iftars that I will tell you about. The first Iftar is the daily Iftar that I have with my maternal grandfather *May God bless him & prolong his life in health & emaan* and the second one is the weekly Iftar that I have with my father's extended family. Both are very different from each other. My daily Iftar is very quiet with very minimal conversation because my grandfather believes that we need to respect food, so we usually just focus on eating in silence with maybe few comments about the food itself. Eating together is something we don't really do because everyone in the family works and each person have their own schedule. Not to mention that I am only back for few weeks at a time. My friends never expect this type of Iftar when I tell them about my Saudi Iftars and they think I am just hiding all the daily fun I am supposedly having. "Salonah", meat and vegetables in liquid red sauce, served with rice or bread. "Harees", slow cooked grains with meat. "Sambosa" the pastry triangles filled with cheese, meat or whatever filling. "Qimat" or as my aunt calls it "the king of the sufra/food spread"
"Saqwo" gooey sweet thing like a thick elastic jello. "Blaleet" thin, sweet pasta and sometimes contains eggs. 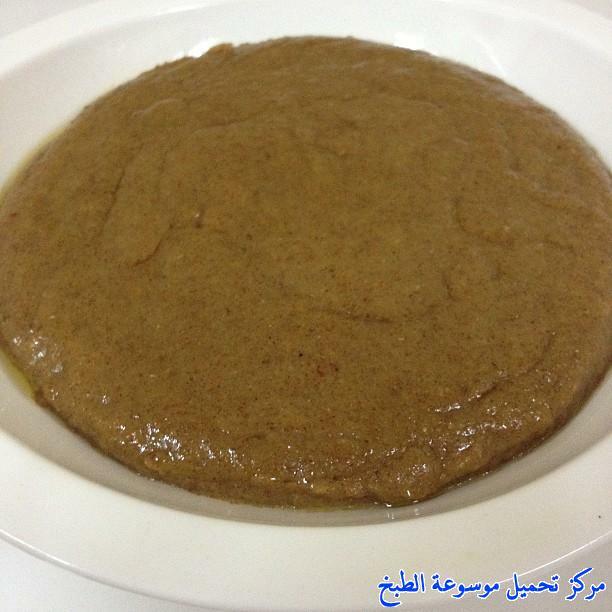 "Aseeda" brown, sweet, thick pudding. All these dishes take hours to make and are usually made during Ramadan. The only two that are made outside of Ramadan regularly are the salona and the sambosa. Different parts of Saudi have different traditional dishes, but these are ours in the Eastern part of Saudi. They are very similar to the traditional dishes of the neighbouring countries. The weekly Iftar is what most families do in Saudi and the Arabian gulf countries. Usually there are two gatherings a week. Whether it's Ramadan or not. One at the paternal grandparents house and another at the maternal grandparents house, which takes up the whole weekend. It's Friday today. I would usually say happy or blessed Friday to greet you all, but Fridays are turning out to be sad Fridays full of deaths, tears and pain. I would much rather blog about travels, arts and various happy hippy things, but this world is so full of misery that I have to address it sometimes. I woke up today to three big headlines from three different continents that yet again left me disappointed in the human race and how some savages have managed to live their lives brainwashed, smearing the good name of Islam for the millionth time in the shortest possible period. The first headline was the scariest because it is the closest to me geographically, the terrorist attack on the Imam Sadiq’s –Shia- mosque in Kuwait, which caused 26 deaths and over 200 injuries so far. What is significant about this bombing is that it targets Shias, a group of Muslims who follow the same God and the same holy book as the attackers. The attack follows the two Saudi mosque bombings ( Shia Genocide) from last month. The Shia group has been targeted in various locations around the world. Recently the bombs made their way to the Arabian Gulf, GCC. The second headline is the decapitation of a man near Lyon in France. The third -and let’s hope the last- headline was the Tunisia attack on Sousse beach that killed 27. Three attacks that fell on the anniversary of the ISIS start. Three in a day to cause distractions so none of those dreadful terror attacks take all the attention it deserves. They happened to spread fear and doubts in everyones hearts. All terrorist attacks were confirmed to be caused by ISIS, who follow Wahabisim. Wahabisim is a weird sector that bases itself on Islam and the Quran, but chooses to ignore most of the Islamic teachings and focus on out of context versus that they use to support their twisted messed up desires for bloodshed and other psychotic acts. They started as AlQadeh a while back and when that was -finally- taken down, it got replaced by a worse one. To know more about Wahabisim please refer to this book exposing the true image of their political movement. They killed millions of Afghanis and Pakistanis before they started spreading themselves in the world like cancer targeting everything and everyone that disagrees with them. What amazes me is their ability to get through any security and to get unlimited funding and weapons! What bewilders me is the fact that people actually think of these terrorists as Muslims and it causes more Islamophobia that usually the headscarved/hijabi females suffer from the most across the continents. Let’s examine my favourite Islamic texts that actually show that Islam is peaceful and tolerant. Not to mention that the prophet’s life was the example of how Muslims should live. He never attacked innocent people even if they were disbelievers. He embraced differences and respected people from different religions. He lived side by side with Jews in Madinah and he never tried to kill them or convert them. They had a treaty and when they tried to kill him and broke the treaty, he didn’t even try to kill them back or make them suffer. He simply asked them to relocate and spared everyone. The prophet even had war rules and principles that included no fighting against anyone who isn’t able to fight back, no harming to elderly, women or children. He was cautious of harming the environment in times of war as well and clearly instructed that even trees should not be burnt or harmed. You see now why I am shocked when I see murderers out there telling the world that what they do is part of Islam? Religion is not to be blamed or condemned for this terror, humans should be held responsible because they are supposed to use their brains and actually learn and understand the religion they are supposedly following. The best thing we can do at these awful times of terror is to properly educate ourselves and others and help the ones in need because the combination of ignorance and poverty is deadly. May we all be guided to the good path of love, peace and unity. Disclaimer:I am not a political expert, just a human who is upset and revolted by these terror attacks taking place worldwide.